Dallas Cowboys Head Coach Jason Garrett is heading into his ninth NFL Draft as head coach of America's Team. 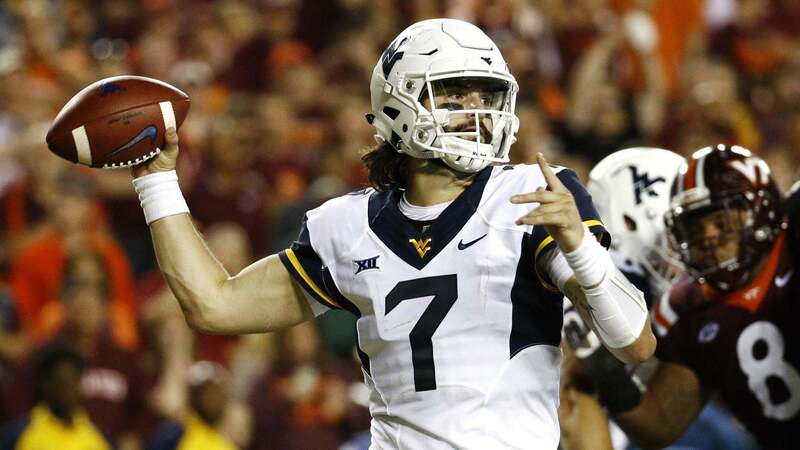 Garrett doesn't necessarily get all the credit for the draft as there are scouts and front office personnel who put in lots of time and effort on the prospects that are selected on draft weekend. With that said, the draft has become the primary vehicle for how the Dallas Cowboys build a roster and it's been mostly successful and they've become one of the better drafting teams in the NFL. Though it started out slow, they've really hit their stride in the last several years, hitting on several picks in the middle to late rounds. The 2016 draft class was one where they found six players who made significant contributions to the team in 2018. The 2014 draft class produced arguably two of the best players on the team in Zack Martin and DeMarcus Lawrence. The 2011 draft signified a shift in the thinking of the front office, largely thanks to Jason Garrett, who urged the team to invest in protecting its most valuable asset; Quarterback Tony Romo. As the team prepares to add significant pieces to their 2019 roster, let's take a look back at the last eight drafts and the best selection the Cowboys made each draft. Several of these picks are going to be first round selections, because the Cowboys hit home runs with those picks. With others, they were able to strike gold in later rounds. This pick, more than any other, signified the changing of the guard and philosophy of the Dallas Cowboys led by first year head coach, Jason Garrett. When the Dallas Cowboys selected Tyron Smith with the ninth overall pick in the 2011 NFL Draft, it was the first time in Owner and General Manager Jerry Jones' tenure that the Cowboys had spent a first round pick on an offensive lineman. After playing right tackle his rookie year, Tyron Smith moved to left tackle and has been one of the best at his position in his eight year career. Smith has been selected as a First Team All-Pro twice and has made the Pro Bowl each of the last six years. Despite injuries, he's been an anchor on the left side of the offensive line both in the run and the pass game. HIs athleticism, strength, and skill have been a perfect blend as the Dallas Cowboys transitioned to running the ball more than they did early in his career. This was the year that the Dallas Cowboys traded up in the first round to select Morris Claiborne. While Claiborne never reached the level of play expected of a top 10 pick, he was still a solid player when he was available. And his injuries, more than anything, are what kept him from being a long-term answer for the Dallas Cowboys a time cornerback. Tyrone Crawford, the team’s third round pick from that season has been a solid contributor along the defensive line in his six years with the Dallas Cowboys. He’s been good for five to six sacks a season and has become one of the leaders on the defense. Crawford’s ability to play both defensive end and defensive tackle has made him an invaluable role player for Rod Marinelli’s defense. Crawford’s only failure is to live up to the contract the Cowboys front office gave him, but he’s been a good player for the team. When the Dallas Cowboys traded back in the first round of the 2013 NFL Draft and selected Wisconsin Center Travis Frederick, much of the draft community considered it a reach. After selecting Tyron Smith in 2011, the Cowboys continued their offensive line construction by selecting their second offensive lineman in the first round in three years. It took more than 20 years for the Cowboys to select an offensive lineman in the first round during Jerry Jones tenure and now they had done it twice. Were it not for the 2016 draft class, the 2014 group could be considered the best of the Jason Garrett era. Zack Martin and DeMarcus Lawrence are each top five players at their position. Zack Martin has been to the Pro Bowl all five seasons he's been in the NFL and has been selected to the First Team All-Pro Team three times. He's played 78 of a possible 80 games in his career, missing time in 2018 because of a hip and knee issues. Prior to that, he'd started every game of his NFL career and been a dominant player while doing it. While Lawrence has been great, injuries and a suspension slowed his development and it wasn’t until the last two years that we saw the elite play we’ve grown accustomed to. Over the last two seasons, only Chandler Jones and Ryan Kerrigan have more sacks than DeMarcus Lawrence's 25. He's been both great as a pass rusher and great against the run. He's as good as it gets in the NFL. Anytime you can come away with two All-Pro players in one draft, you're doing something right. What would we think about Byron Jones had the Dallas Cowboys made him a corner from the get go?Jones was moved around the secondary from tight end cover guy, to safety, and now to corner where he thrived in 2018. Sure, he had a poor second half of the season, but that shouldn’t erase all the good he did in the first half of 2018. Byron Jones' name has come up in contract discussions this offseason and it sounds like the Cowboys would like to get a deal done at some point. 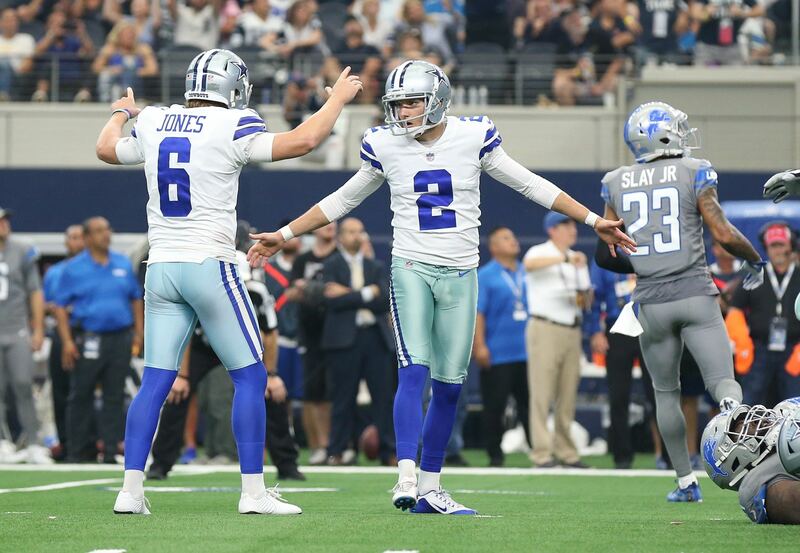 However, they might want to see more from Jones before dishing out $12-15 million per year. Randy Gregory is the only other player worth mentioning here, but his off the field drug and mental health issues have kept him from being the top 10 player he was projected to be prior to testing positive in for marijuana before the draft. We saw flashes of greatness in 2018 and he was one of the team's best defenders in the second half of the season. Another suspension is lingering and could effect his ability to play in 2019. Anytime that you can find your franchise quarterback, it’s best selection of a draft class. The Cowboys selection of Dak Prescott led to something that rarely happens in the NFL: a seamless transition from franchise quarterback to franchise quarterback. When Tony Romo went down in the preseason game against the Seattle Seahawks, I don’t think any of us knew what to expect from the fourth round draft pick. Though Prescott hasn’t been perfect (no quarterback is), he’s helped the Dallas Cowboys make the playoffs in two of his first three seasons, while having a winning record in each of his three years in the NFL. For his career, Prescott is flirting with a passer rating around 100 and has become one of the better dual-threat quarterbacks in the league, scoring six touchdowns a season on the ground. Prescott’s become one of the more important leaders on this team. His inability to be phased by game situation or importance is one of his greatest attributes. Dak Prescott’s never out of a game. Even when he’s not playing well, he always seems to find a way to make plays at the end to get his team back in the game or take it over for the win. Ezekiel Elliott has been an important player, there’s no doubt about it, but he’s been exactly what he should have been after being selected as the fourth overall pick. When you take a running back that high in the draft, he better lead the league in rushing and be a part of your identity. The issue isn’t so much in Elliott, the player, it’s in the way the NFL values the running back position these days. The 2017 draft is most remembered for the selection of Defensive End Taco Charlton over now-Pittsburgh Steelers Outside Linebacker T.J. Watt, but it was what the Cowboys did after the first round that was remarkable. Remember that prior to the draft, the Cowboys allowed Barry Church, J.J. Wilcox, Brandon Carr, and Morris Claiborne to walk in free agency. Two of their top three corners and two of their top three safeties were gone. In the draft, the Cowboys selected four defensive backs in Chidobe Awuzie, Jourdan Lewis, Xavier Woods, and Marquez White. The most impressive in their first two years has been Xavier Woods. Initially Woods had to works some as a slot cornerback because of injuries in the secondary and ineffectiveness of free agent signing Nolan Carroll. 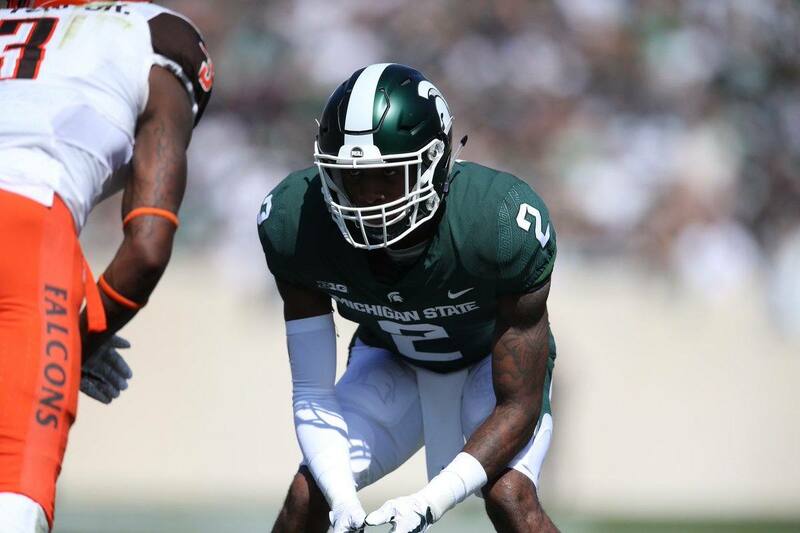 In 2018, Woods made the full-time transition to free safety and was a bright spot for a Cowboys defense that was in the top 10 in many defensive statistics in the NFL. It's still very early in his career, but 2018 first round pick Leighton Vander Esch looks to be an excellent selection thus far. 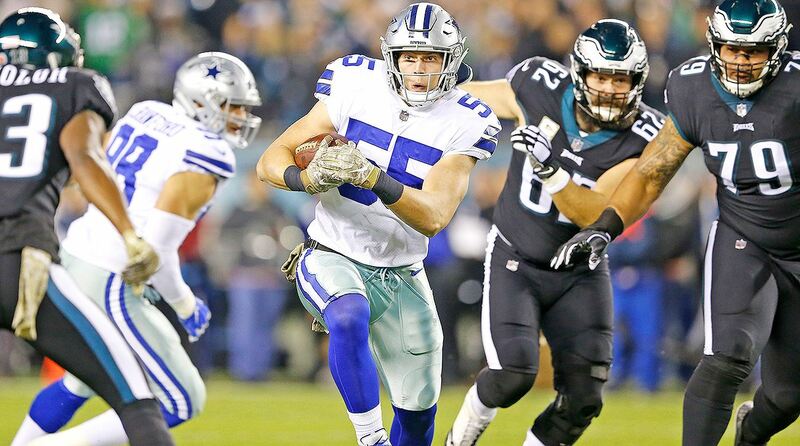 In his first year, he supplanted Sean Lee in the lineup after Lee returned from injury. Combining with Jaylon Smith, they were one of the best linebacker duos in the NFL in 2018. Vander Esch had a case for defensive rookie of the year. He was tied for the team lead in interceptions and was a tackling machine. Like I said, it's still early in his career, but if 2018 is any indication, there's a lot to be excited about in the future. The Cowboys have done really good work at retooling their team as they've stayed competitive during the Jason Garrett era. Though they went 8-8 in the first three years, over the last five, they've gone 48-32, won the NFC East three times, and been to the divisional round of the playoffs each of those three years. A lot of that success is because of the success they've had in the draft. Few teams can boast as much drafted talent as this young Dallas Cowboys squad can. From their quarterback to their pass rush, the Dallas Cowboys have been able to find the elite pieces at the money positions through the draft. When it comes to the draft, the Cowboys brass is like a kid on Christmas, ready to unwrap their shiny new toys.